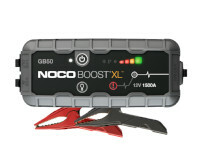 Jump starter NOCO GB500 Boost Max is the next generation of portable lithium starters. 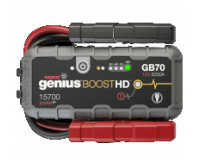 Boost Max is developed from scratch and is one of the most efficient and innovative boot devices on the market. 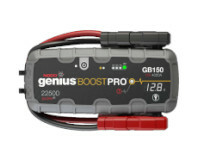 NOCO GB500 jump starter is designed for 12-volt and 24-volt gasoline and diesel engines in vehicles and equipment class 8 + / CE, Boost Max is 400% smaller and lighter than its nearest equivalent in lead-acid. It also has patented protection against spark-proof technology and protection against reverse polarity, as well as the power supply reliability of your favorite devices, from smartphones to tire pumps. 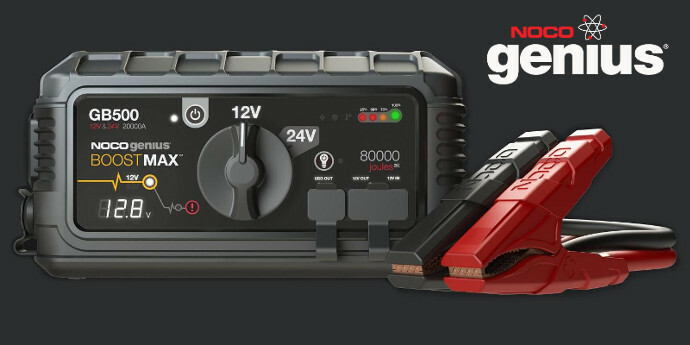 • Compact, yet powerful 12V and 24V lithium jump starter rated at 20,000 Amps, 80,000 Joules3S (10,000 Amps, 40,000 Joules3S in 24V). 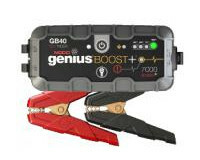 • Patented safety protection with spark-proof technology and reverse polarity protection that allows it to connect to any battery safely. 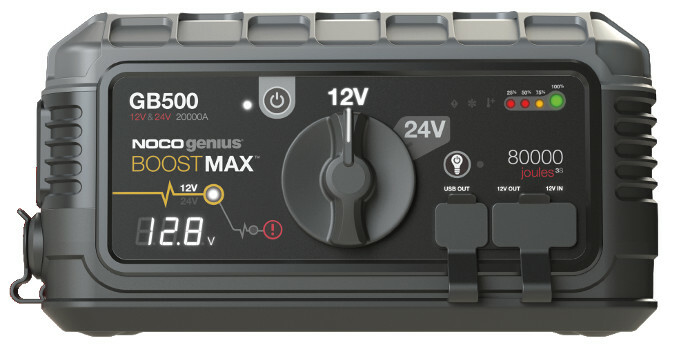 • Enjoy portable 12-volt power from anywhere, including tire pumps, inverters, lights, appliances and more. • A high-intensity 2,200 lumen LED worklight with 7 light modes, including SOS and Emergency Strobe. • Dual USB ports to recharge multiple devices on the go, like smartphones, tablets and more - over 20 smartphone recharges. • Designed for both gas and diesel engines up to Class 8+/CE high-displacement vehicles, equipment, trucks and more. 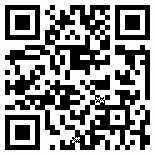 *- Recommended price for compliance with the right of collection in EURO currency. The prices given are gross (with input VAT of 23%). The individual sets include: device, cable set and operating instructions. Price list valid from 10/02/2015. The General Distributor reserves the right to change prices in case of changes in currency exchange rates, increase in raw material prices, changes in remuneration, governmental interventions or other circumstances beyond the control of the General Distributor.